This fall Guerlain is adding a new range of eye pencils to the permanent line. 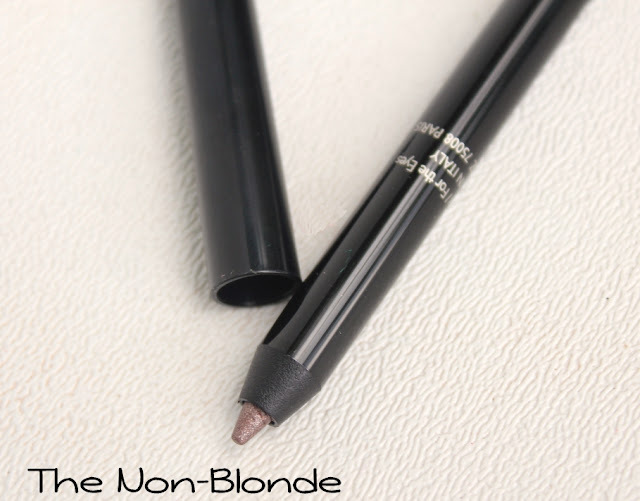 The pencils have a very soft and creamy texture that made them instant favorites with me. 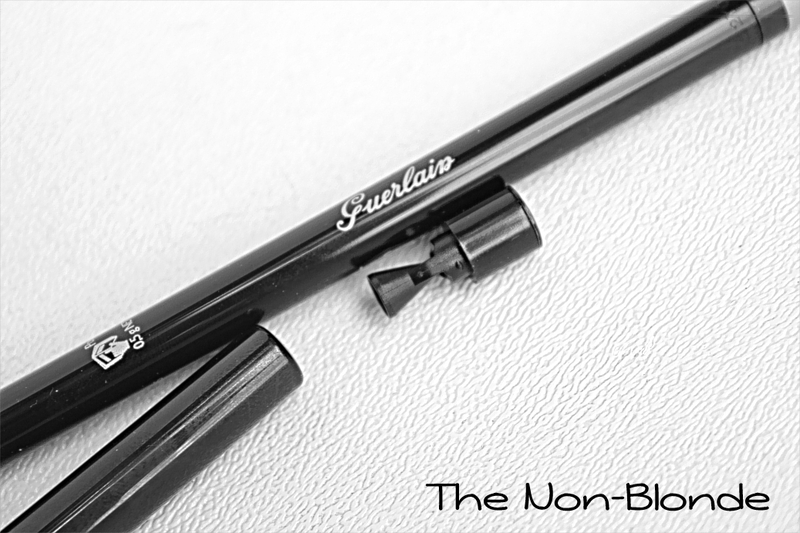 The new Guerlain eye pencil is perfect for smudging and blending as it takes a few minutes to set. There's absolutely no pulling or tugging when working with this pencil-- it's that soft and gentle. On the other hand, this Guerlain eyeliner isn't waterproof or even weather-resistant (go with YSL if you need superior longevity), unless you set it with a touch of powder eye shadow. So take that into account, especially if you have oily lids. Guerlain Eye Pencil has a built-in small sharpener and comes in five shades. You can see Black Jack on Karen from Makeup & Beauty Blog. I chose Amber Silver (for now. We all know that I'll have to get the navy one sooner or later), a glorious taupe with a somewhat metallic finish. 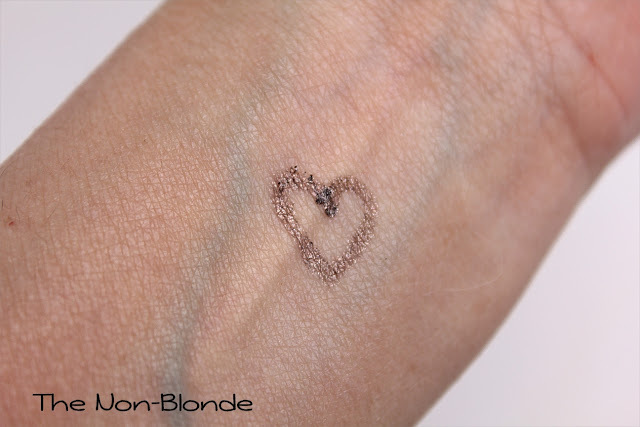 The color reminds me of a long-gone Lancome Artliner in Socialite, which was one of my favorite eyeliners of all time. Amber Silver adds brightness to the upper lid, of course, but for me its main strength is smudged on the lower lash line. I don't use black or even dark brown under my eyes (due to age and eye shape), but this kind of color is perfect for an elegant enhancement (I also use Laura Mercier Amethyst Caviar Stick for this purpose). Some of you will want to know how Guerlain Amber Silver compares to several limited edition Chanel pencils from recent years. I can't tell you. I passed on all of these Chanel eyeliners because they were too hard for my liking and didn't deposit enough color to actually show up on me. The texture of this new Guerlain pencil is what sold me on it instantly, so if you had similar issues with Chanel, give this one a try. Bottom Line: there are more of these in my future. Guerlain Amber Silver Eye Pencil ($30) is available at the counters and online from Neiman Marcus. Oooooh, this looks like the Three pencil liner which I own! (I think the number is 07.) So of course, I want this one, too. I'm looking forward to taking these new pencils in a test run especially after Kren indicated that there was some play time before they set. I love smudging a liner along my lashes or using it as a tightliner. I'd be interested in the black, brown, and that Amber Silver. I love colors like that under my lower lashes. Nice to know that I'm not the only one who has had problems with the Chanel liners. Now this one seems to be my kind of color and definitely it's on my purchase list! I love this colour, and I have similar issues with Chanel eye pencils: so hard they hurt, for very little colour deposition. Gaia, you do have Chanel's Santal - yes? How does this lively color differ? Annina, Santal is a medium-dark brown with a matte finish. The colors couldn't be more different as Guerlain is lighter, silvery and has this metallic finish.